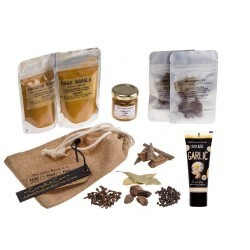 Single and gift pack natural curry kits supplying all the ingredients for a traditional Indian Restaurant style curry. Founder Jeff started Currykit in his pursuit of a great curry. He found that the quality of many curry takeaways as well as his willingness to pay for them was declining. Wanting to address this problem he launched Currykit. Each natural kit is varied and includes high quality ingredients, hand blended spices, whole spices, garlic, ginger, and chilli puree along with full recipe cards. Select your curry kit heat strength from mild, medium, and hot and make your own authentic curry!